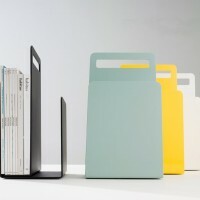 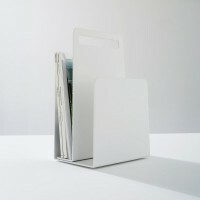 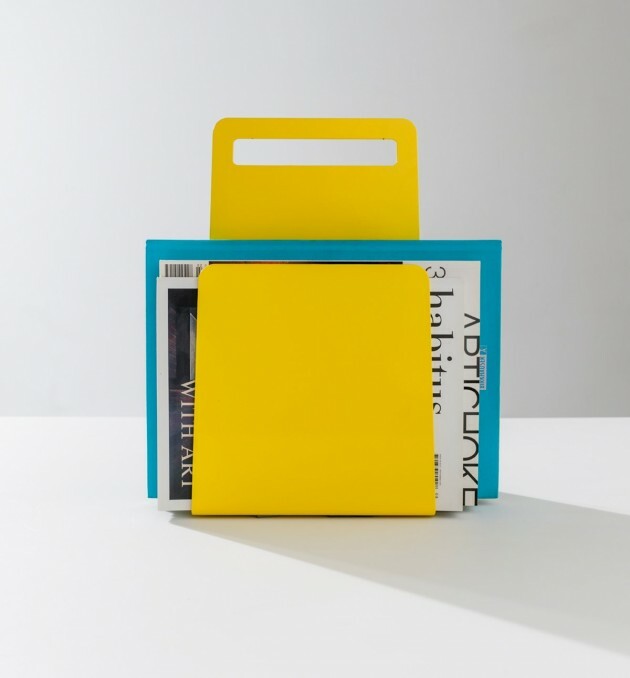 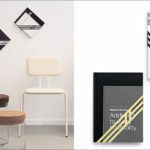 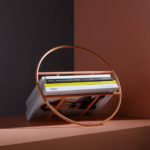 DesignByThem have collaborated with Seaton Mckeon to design the Alfred Magazine Rack made from powder-coated aluminum. 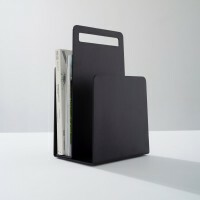 Alfred Magazine Rack is the result of this creative partnership, a truly minimalistic utility item that is as functional as it is stylish. 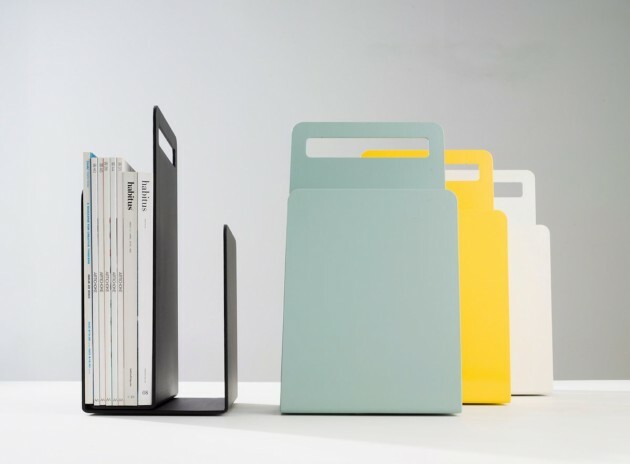 The central handle gives it an inherent strength and ensures it is transportable between spaces, indoors and out. 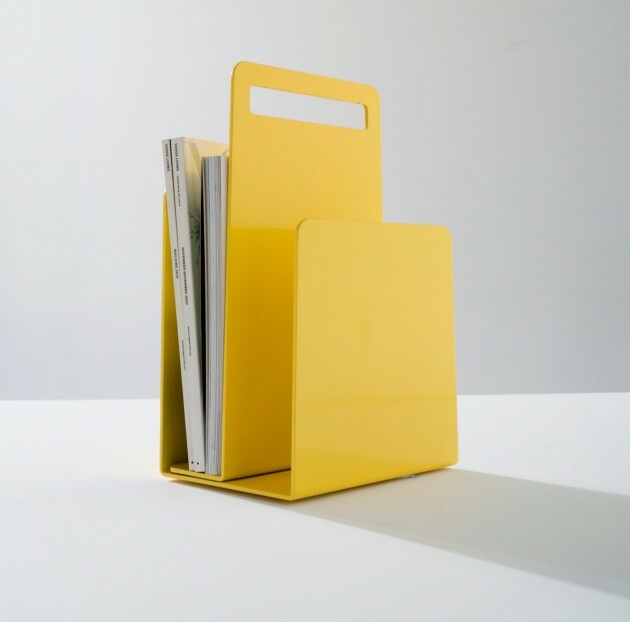 Made from powder-coated aluminium, Alfred is available in black, white, blue and yellow; modern and versatile colours that represent the fun, playful aesthetic DesignByThem is known for. 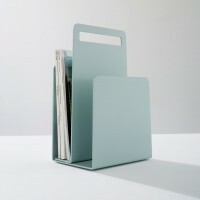 Says Mckeon, “Its design is focused on lasting durability and functionality. 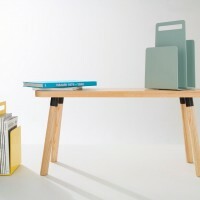 The inspiration for Alfred came from the cartoon-like aesthetics and industrial functionality that is reminiscent of cranes and cherry pickers”. Mckeon approached DesignByThem in 2013 with the concept after hearing of their previous collaborations. 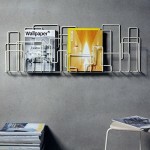 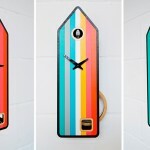 “After Seaton approached us it became clear he had a lot of talent and that his designs suited our aesthetic. 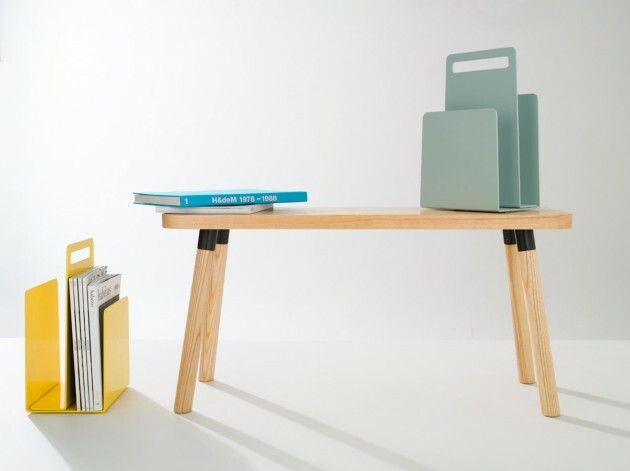 We’re really looking forward to working with a range of Australian designers in 2014, with some really innovative projects on the way” says Sarah Gibson, co-founder of DesignByThem.